Thursday Training: Training normally starts each Thursday at 18.45 sharp from the Royal Free Hospital Recreation centre in Fleet Road. We will wait if you let us know you’re coming but please be prompt. Sorry for the problem with a path across a park shown on the NE of the map which had locked gates. Entirely my fault for not spotting this. Other than that seemed to be a successful event and I hope everyone enjoyed themselves. Over the coming weeks a series of short videos are being released. Each one features a member of the British team explaining an aspect of the sport. 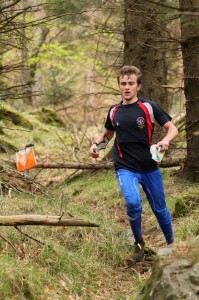 They are aimed at beginners and anyone who wants to improve their orienteering. The videos have been produced by a team of SLOW members, headed by Sarah Brown (ex-LOK), with funding from Sport England. The final results of the 60-minute score event are available – here. Link to Routegadget – please do mark up your route! Thank you all for coming along to LOK/HH’s annual Boxing Day score event this year. Numbers were at the highest in recent years at 126 – the dearth of ‘forest’ events in the past week or two may have been one reason. The weather – overcast but otherwise a pleasant 9 degrees – perhaps was another. It is all change at Trent Park while the centre of it is being redeveloped by Berkeley Homes. As a result the whole of the area around the great house is currently out-of-bounds. Nevertheless Hedley Calderbank (HH) planned an interesting and testing 60-minute course. We had a new winner today in Jack Kosky (SO), who was quickest in visiting all the controls in 48:46. 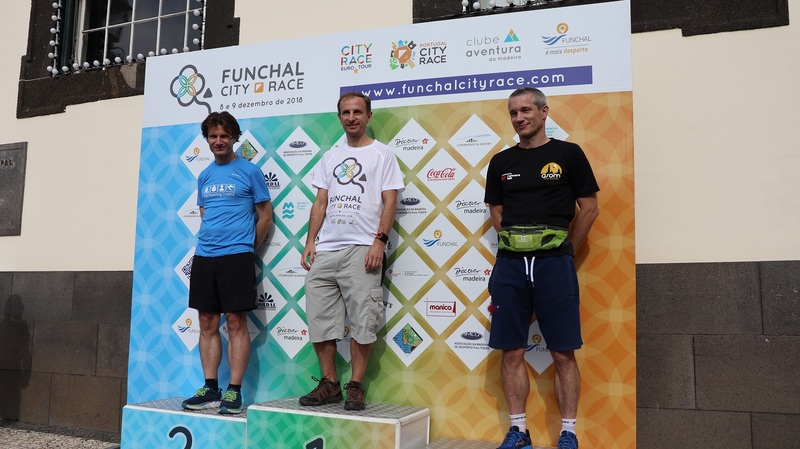 Thanks not least to contactless punching (SIAC) this was over 6 minutes quicker than last year’s 4-times in-a-row winner Iain Embrey, who this year was absent. In fact 9 competitors got all 30 controls within the hour compared with 2 last year. Top lady this time was Sue Carter with 550 out of a maximum 600 points in 57:26. 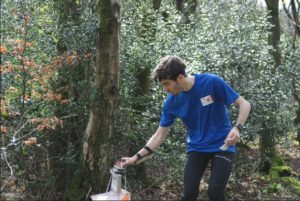 The event was a joint effort between the London Orienteering Klubb (LOK) and the Hertfordshire Orienteering Club (Happy Herts or HH). Thanks to the planner, Hedley Calderbank, and his controller hangers, Simon and James Errington, controllers (Ronan & Julie Cleary), start official, Ronan Cleary (assisted by Frank Martindale), and Kevin and Laura Parkes (HH) for handling the IT / results. Thanks also to Stuart Douglas, Charmaine Kwan, Anne Power, Jon Chandler (all LOK) and Helen & Peter Errington, John Duffield, Mick Smith and David Frampton (all HH). 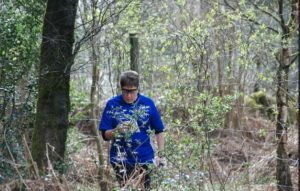 Veterans of the Trent Park Boxing Day Score Event will have noticed the expansion of the out-of-bounds areas over the years, but on the positive side, you might also have noticed a reduction in the severity of the undergrowth in some areas. The loss of a route alongside the south of the lake robbed me of the opportunity to set a major route choice challenge, so those runners who collected all the controls followed a reasonably predictable optimum route around the area. All but one of you went clockwise, though anti-clockwise (marginally longer) might have been a better choice for anybody unsure of getting all the controls because I think that it offered a better choice of controls to miss out near the end of the course. I expected more runners to visit all the controls this year than last, partly on account of SIAC, but also because I did not use all the furthest extremities of the area and I could not use the area south of the lake. The more interesting route choice challenges fell to slower runners. I was pleased to see groups heading off from the start in 4 different directions as I had hoped. Indeed, no fewer than 8 first controls were recorded. Below is a summary of a number of route options. While I deliberately made the SW area less valuable and the E area more valuable than usual, the SW was still the better bet for sub 4km runners. For a little greater distance, you could find the biggest rewards in the north, especially at the top of the hill. For those looking to score more than 400 points, coupling the north area with the eastern area was more efficient than covering north and southwest, though the latter earns 20 more points at the cost of nearly one km extra running. In my assessment, I have made no allowance for height gain and I am assuming that runners heading north should pick up an easy 20 points at 121. Which controls was it best to miss out? 119 involves an expensive diversion for only 10 points if you are intending to head for the east area, but it is quite early in the course to be making a decision to skip it. 114 (though an obvious first control) is marginal. Finally, thank you to those who helped me to put out and collect controls. You know who you are. Thanks to Southgate Hockey Club (Liz Moss) for allowing us to use their car park. You may have noticed there is now a barrier across the entrance. This meant we had exclusive access, which made it organisationally smoother for us and a better ‘arena’ experience for competitors. Thanks also to Richard Lonergan of the Bridge Group UK, Berkeley Homes’ security firm, for sorting out the arrangements for access and Adnan for his practical assistance on the day. We are also grateful to Berkeley Homes (Lee Squibb) and Enfield Council (Massimo Avrili) for grating us permission to hold the event. 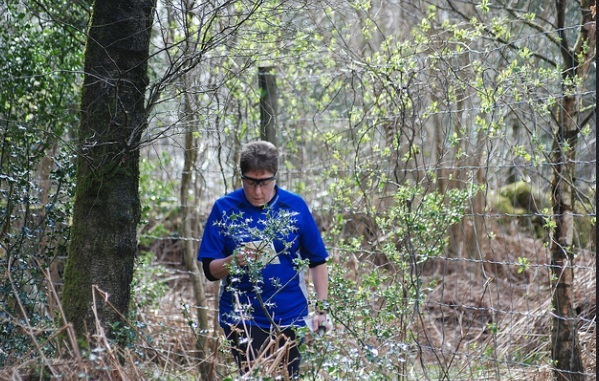 LOK’s next planned ‘forest’ event is scheduled to be the South East Relays on Sunday, 12 May 2018. We are still finalising the venue but it may be Trent Park. Details will be on our website nearer the time. In the mean time we have details for our next Street-O event around Kentish Town on Tuesday, 12 February 2018 here. Dmitry of LOK won the Veterans category. He raced in Ypres, London, Rome, Manchester, Girona and Funchal. Join LOK Online senior £22.50 junior £9.00.